When I first heard of so-called wearables, I was skeptical–skeptical of the hype, the price, and the practicality. I was curious though, so I decided to check out the Withings Activité Pop (Pop) Fitness Tracker Watch–or rather I decided to let my wife check it out, since she’s the avid walker/half-marathoner in the family. I’m also a walker/runner, but I am more in the category of fan/support rather than competitive walking and running. I reviewed the black Activité Steel (Steel) Fitness Tracker Watch. I believe that the Pop and the Steel are very similar in functionality, workmanship, features, and look. The Pop came out first and we had time to work with it a bit before I received the Steel. One word of caution before I start the feature overview and review. The Activité Fitness Tracker Watches might make you obsess over your activity to the point where you are cognizant of every step you take. I’m not kidding. Here’s an example: One day I went to the local Sam’s Club store to shop. Of course I had on my Steel, because I seem to wear it 24 hours a day now and I haven’t worn a watch in years. Anyway, I walked around pushing a shopping cart for about an hour, when I realized that I hadn’t received any steps (I’ll explain later) for this activity. I was annoyed. After I came home, I told my wife about this. Apparently, she had already solved this problem, by pulling the cart and not pushing it. You see, the way most of these fitness trackers record your steps is by recording your arm swings as you walk. It is pretty accurate too. At first, the Pop was not so accurate, but there’s been an update since that time and now it’s spot on. If you walk 1,000 steps, the watch registers 1,000 steps. I’ve tested it, so you can trust that you have walked the number of steps that shows up on your watch and on your app. 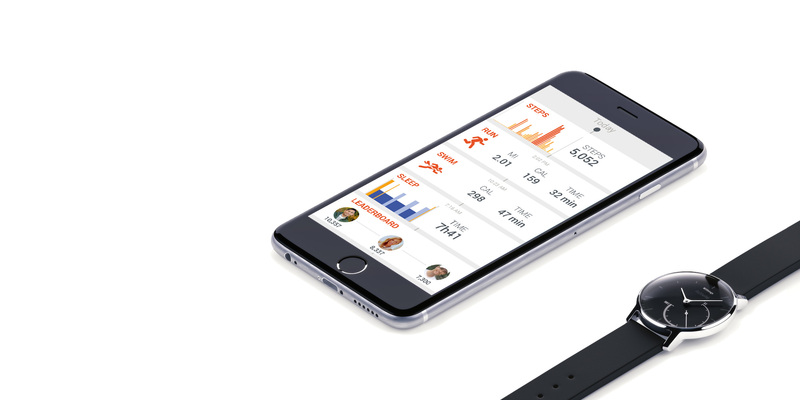 Unlike some fitness trackers, the Withings ones do not have to be tethered to a phone. In fact, I never carry my phone on a walk. It’s too heavy and it just bugs me, so I leave it at home, while I torture…I mean while I walk. 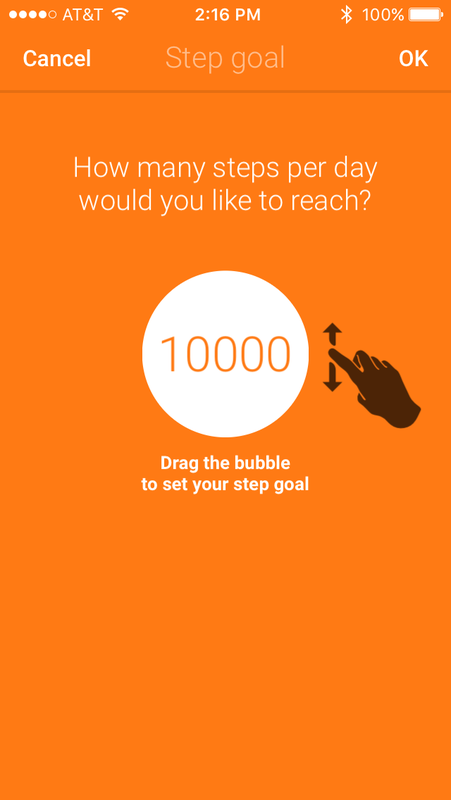 I set my daily steps goal at 10,000. That’s a convenient and widely accepted target. You set your daily goal when you setup your Withings app on your mobile device, but you can also change it at any time by swiping in a new number. Whatever number you select for your daily goal will be fed into the watch and split into tenths. As you can see on the dial face, there is an analog tracker that shows how close you are to your goal. Since mine is 10,000 steps, each large tick mark is 1,000 steps or around my block one time. It’s good that I know my target goal and a simple milestone, such as my block, that way I can compare the two results to be sure that I’m tracking correctly on walks in which I’m not sure of the distance. The Pop and the Steel both also track your sleep patterns. This is a bonus feature because sleep patterns are directly related to health. 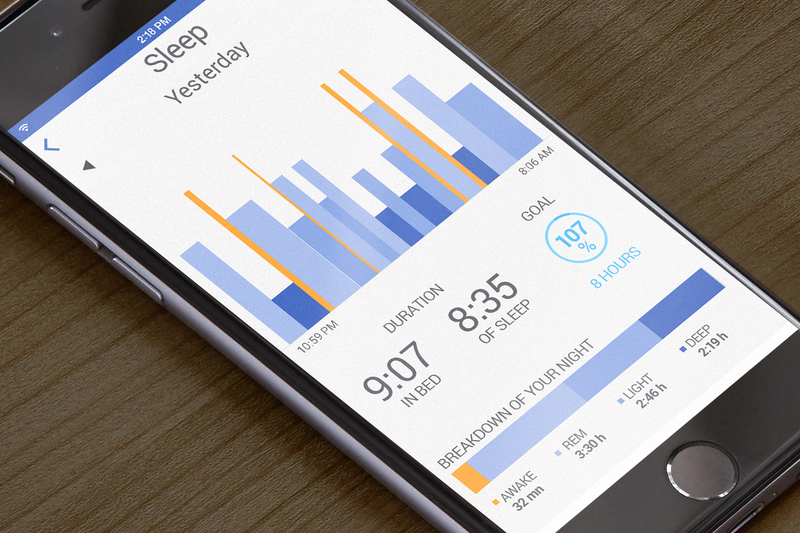 And the Withings products give you a sleep pattern assessment for each night’s sleep and then a weekly assessment. By assessment, you can see how long you slept, how many times you were awake during a night, and even see your sleep patterns of deep and light sleep. Oh, and it knows when you take a nap. On a recent trip, I took a nap and it knew. One hour and thirty-three minutes of monitored bliss. Another bonus feature that surprised us is that the watch knows when you’ve gone for a swim. My wife went for an hour-long swim one day and exclaimed, “It knew I swam for an hour!” She didn’t have to tell it, nor do you have to do anything special when you sleep. I call these the Santa Claus watches because they know when you’ve been sleeping, they know when you’re awake, and they know when you’ve been bad (not reaching your goals) or good (when you have reached your goals). The watch is water resistant to 50m/150ft. To encourage you along the way, you win fitness badges at milestone distances. You also receive encouraging messages along the way, when you achieve your goals. Seriously, it becomes a personal competitive thing once you get into this whole fitness tracking shtick. You’ll find yourself taking more steps, making sure that your arm is swinging appropriately for the steps to count. You’ll self deprecate when you don’t reach your goal, but the app no longer scolds you for missing a goal. Originally it did. Although I’ve never done it, you can set a wake up alarm on the watch. My daughter and my wife did this on the Pop, through the app. 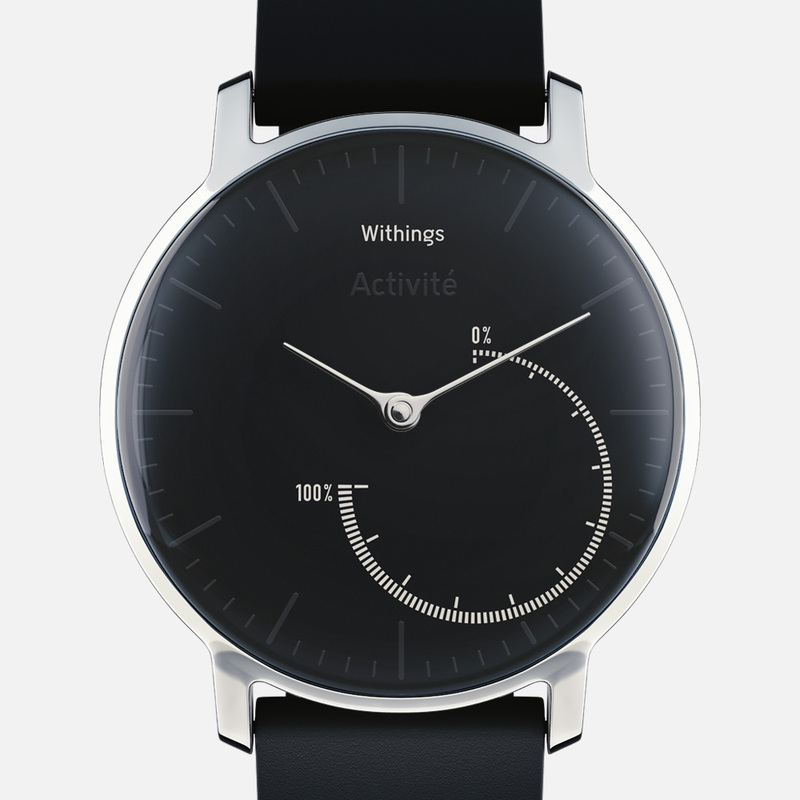 I want to turn your attention to the look of the Withings Fitness Tracker Watches. Personally, I think they’re the best looking ones out there. They look like normal watches. They’re normal watch sized and they don’t have any unnecessary do-dads on the face or on the body of the watch. If people don’t know that you’re wearing a fitness tracker, then they don’t know from the Withings watch. They’re stylish, come in many colors, and all perform the same functions. I’ve looked at several different fitness tracker type watches over the past year and I really like the Withings ones. I like that they don’t have that blocky, ugly look of some fitness trackers or a huge profile. I like the watch-sized footprint and the fact that the watch itself is analog. I’ve never thought digital readouts looked like watches. It’s a personal thing. I love watches. I have a whole collection of different ones and they’re all gloriously analog. Not a digital readout in the bunch. What I don’t like in these fitness trackers is that I have to have a free swinging arm for it to measure my steps. But, to do it any other way would require a GPS unit and that would spoil the small, watch-like footprint of the Withings watches, so maybe that’s only half a bummer. The app won’t update unless it is in the foreground on your mobile device–or at least it doesn’t on mine, although I receive messages that I need to open my Withings App to get background updates. Mine won’t do background updates. Be aware of that and your mileage may vary. I have an Apple iPhone 5 with iOS 9.x on it, so maybe that’s the issue. At 149.95 for the Pop and 169.95 for the Steel, I’d say that they’re a little high for me. I’d prefer something a bit more competitive at say $99.95 and maybe as high as $129.95 for the Steel. When I see a price for a watch/fitness bad that approaches the $150 mark, I tend to drift away and look at the other options available to me. The watches themselves are quality made. The bands are made of a silicone rubber material that seems durable and sturdy. The watches are certainly not afraid of water and that’s worth something too. 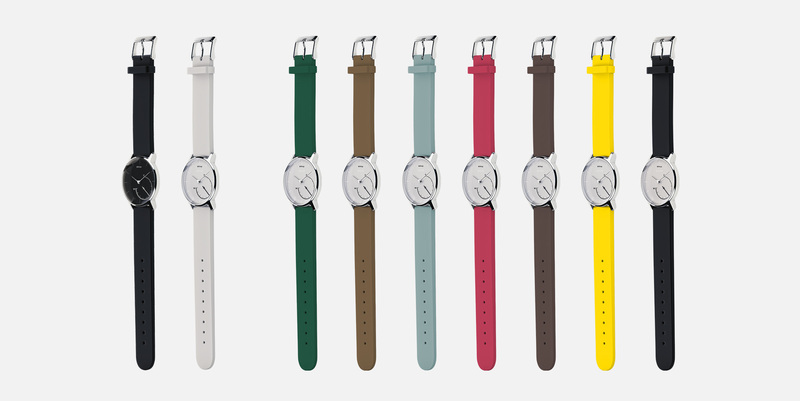 The Withings watches would make great gifts, especially for those who want a simple fitness tracking experience. There’s no plugging in of the watch to sync it, no charging, no messing about with any on-watch apps, and no need to always have the phone nearby. The Withings watches do exactly what they say they’ll do. They accurately measure your steps, your sleep, your swimming, and they record the whole of your activity into an app that does not have to be constantly tethered to your phone. The watch connects via Bluetooth when in range and updates for you. I suggest not letting it go more than a couple of days without updating so that you don’t lose any data. If you take the steps, you want them to count. There are features of the watch and of the app that I’m positive that I’m not using. I have simple needs. I want it to measure my steps and my sleep and it does. The Withings Fitness Tracker Watches are simple to use and that’s a huge plus for me. If you know someone who wants a fitness tracker, but is afraid of all the complexity, these are the ones you want to buy–no doubt about it. A well-made, well-supported, simple-to-use wearable that’s both stylish and functional. Recommendation: Buy as a gift or for yourself. At half the price and size of other fitness trackers, you’ll like it a lot.